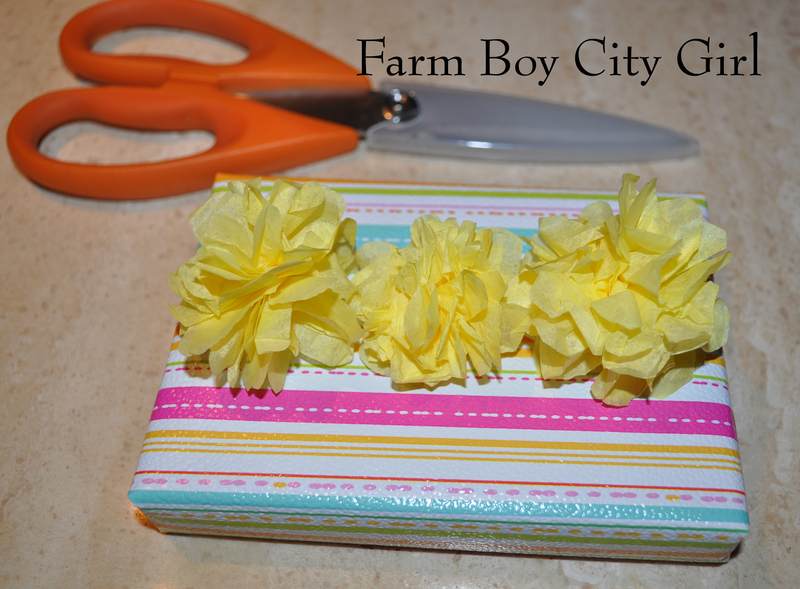 Making presents look beautiful doesn’t have to be expensive. 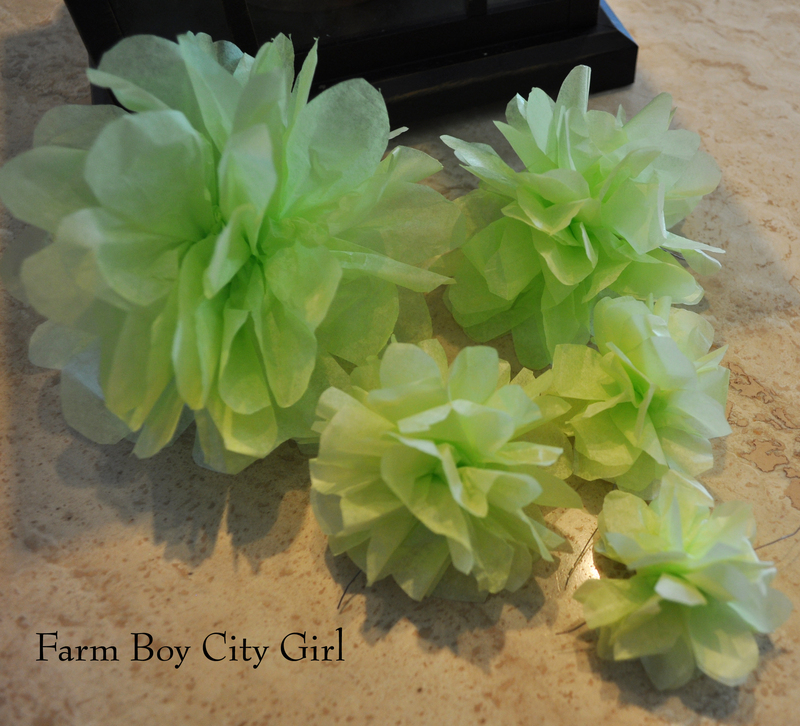 Tissue Pom Pom’s are an inexpensive and beautiful way to decorate your gift. 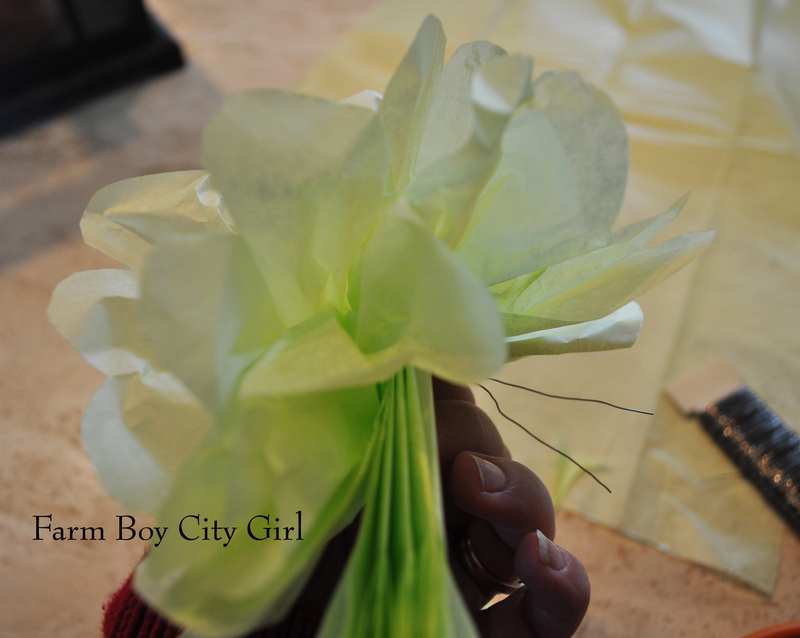 This is the same technique as making large tissue pom’s except you cut the tissue paper. Start with one sheet of tissue. Fold it in half and cut. Do this a few more times until you are left with a 7×10 sheet. 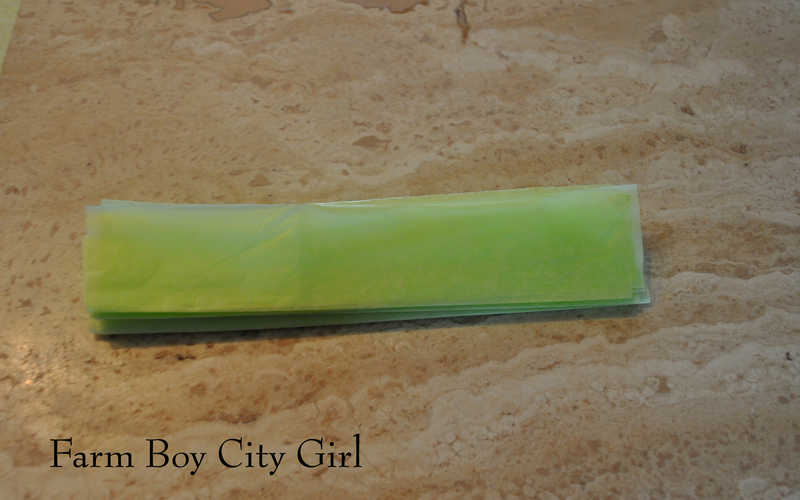 For bows I only use 4 pieces of tissue. 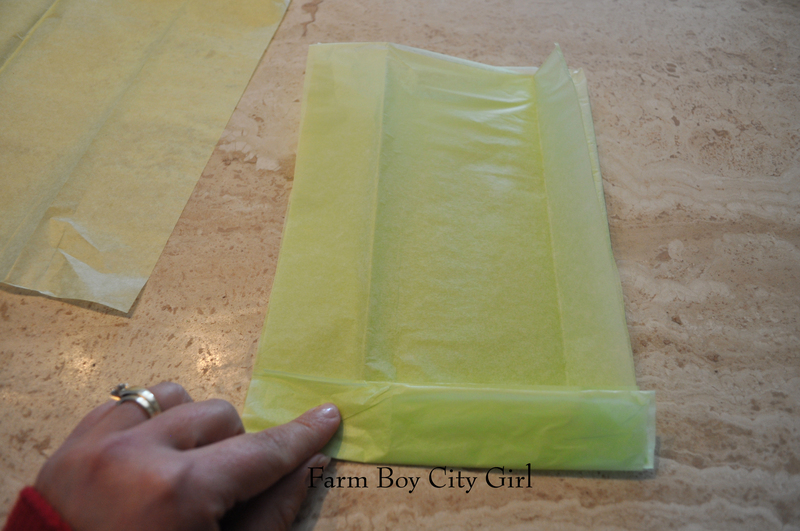 If you want it fuller use 5 but the smaller the pom the more difficult it is to separate the tissue. Plus they lay flat on the gift so it ends up looking fuller anyway. Start at the long end and make folds back and forth until you get to the end. 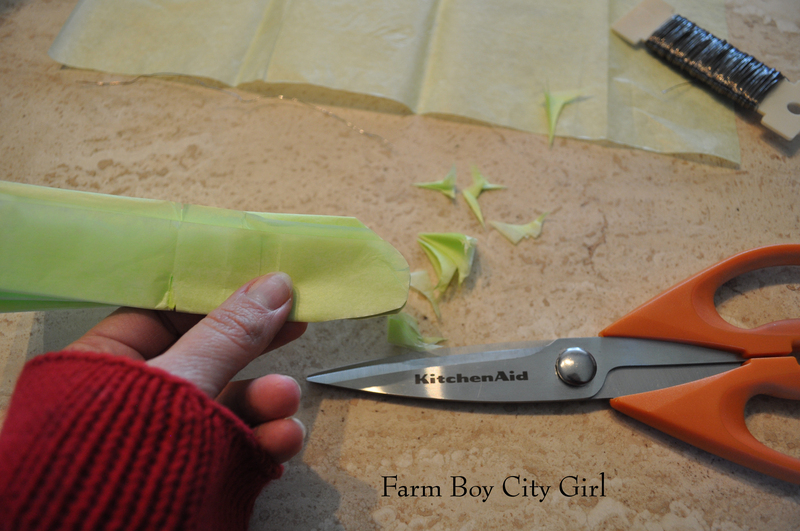 If the tissue is a little sloppy at the ends I trim it to make it all nice and straight and then round the ends. 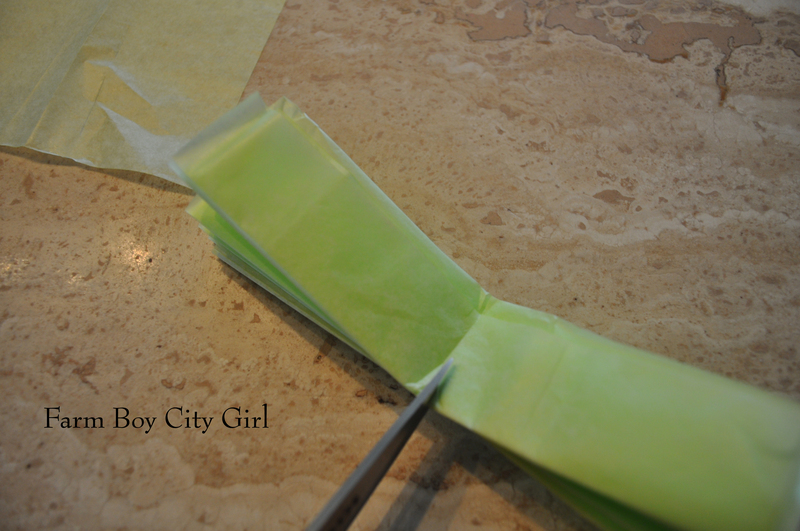 Cut a slit in the middle on both sides but make sure you only cut a small slit. 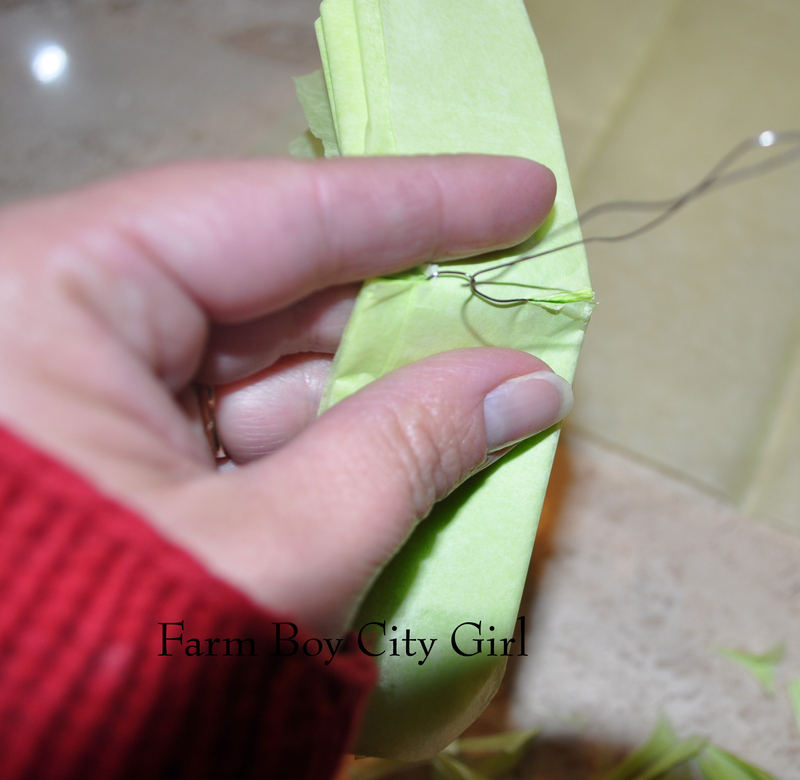 Use a thin wire or ribbon to tie around the middle. If you plan on tying a ribbon around the present, use a ribbon for the middle and leave it long enough to go around the box. If you use wire you can glue it on or use double-sided tape. 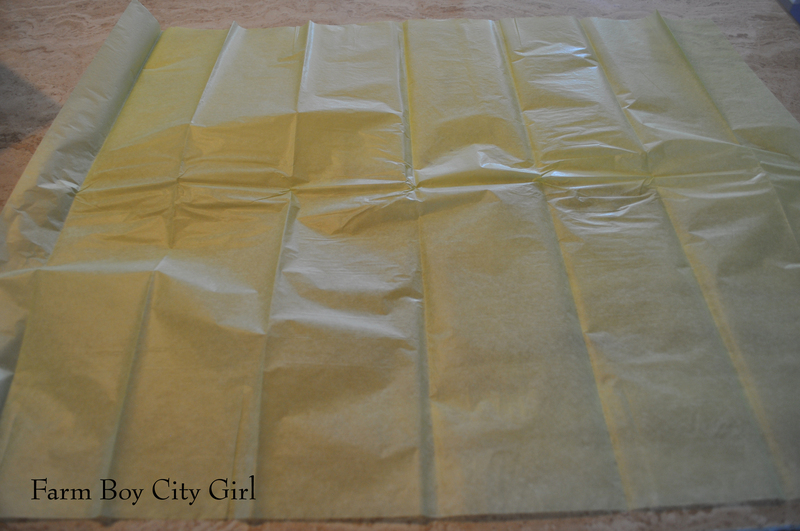 Start pulling the tissue back until all of the sheets are separated. I made five bows out on one piece of tissue. 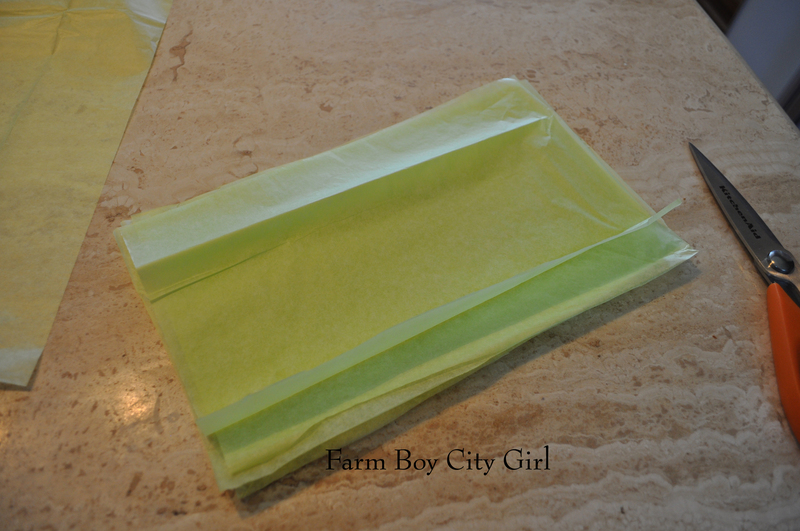 Keep cutting the size of the tissue smaller and smaller depending on the size you want. The below poms are 7×10, 5×7, 3.5×5, and 2.5×3.5. If you get your tissue paper at the dollar store these bows literally cost pennies. 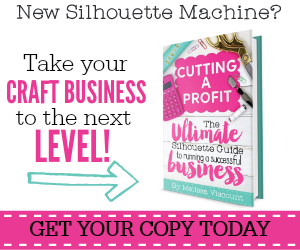 This entry was posted in Crafts, Wrapping Presents and tagged bows, bows for presents, dollar store, Paper, presents, thin wire, Tissue and Crepe Papers, Tissue paper, tissue poms, tying a ribbon. Bookmark the permalink.